When you are snuggling up on the couch to watch your favorite TV series, a blanket adds the perfect amount of comfort. While all blankets are comfortable, have you ever wondered which blanket is the softest to use? Below are the top 3 softest blankets, starting with our #1 pick – bamboo blankets. Bamboo blankets have a couple of advantages over other blankets. • First, bamboo blankets are surprisingly soft and smooth. • Second, bamboo blankets are more durable than traditional blankets. Bamboo blankets, such as Cozy Earth bamboo blankets, are soft and smooth because of the technique used to make them. To make a premium bamboo blankets, long-strand fibers are stretched across the entire length of the blanket. Since there aren’t any rough ends woven into the blanket, bamboo blankets are surprisingly soft and as smooth as silk. In addition, bamboo blankets are incredibly durable. Premium bamboo blankets are more durable because they only use the long-strand technique described above. Since these blankets only use long-strand fibers, they won’t pill and tear like normal blankets. 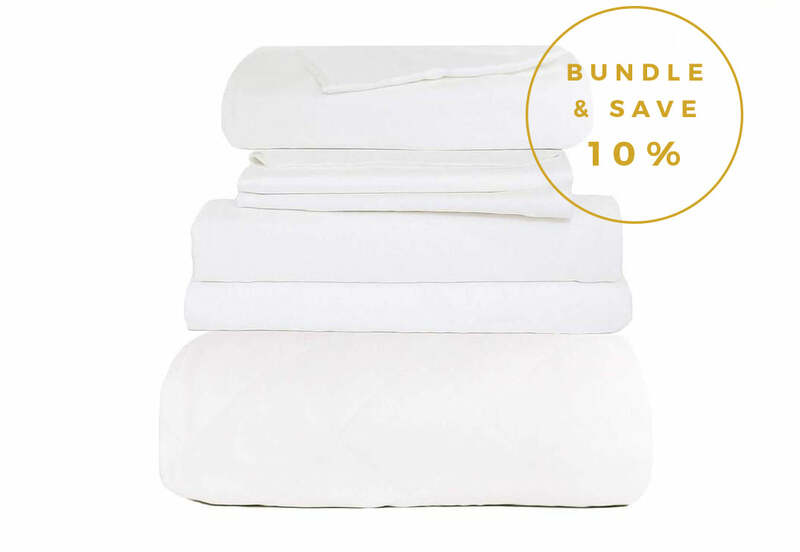 This means your bamboo blanket will look brand-new after years of use. The only drawback to bamboo blankets is that they tend to be a little bit more expensive than traditional blankets. However, you can find these blankets on sale, which counteracts some of the cost. If you’re interested in bamboo blankets, you may also be interested in other types of bamboo bedding, such as bamboo pillowcases. If you’re interested in bamboo pillowcases, read our blog The Cozy Comfort of Bamboo Pillowcases. Silk blankets have many of the same benefits of bamboo blankets; they’re incredibly soft, smooth, and breathable. Additionally, silk blankets are the epitome of luxury. However, silk blankets have a couple of disadvantages, especially when compared to bamboo blankets. • First, silk blankets are expensive. • Second, silk blankets are difficult to clean. Silk blankets are quite expensive and silk even surpasses bamboo in cost. Additionally, it can be hard to find high-quality silk blankets on sale since they are well known as a luxury item. Moreover, silk blankets are more difficult to clean than bamboo blankets. For instance, you can throw a bamboo blanket into the washing machine to wash it. In contrast, a silk blanket usually needs be cleaned by a professional. Fleece blankets are fantastic for parents and kids. Parents love fleece blankets because they are inexpensive and easy to clean. Furthermore, kids love fleece blankets because they are fuzzy and often have fun designs on them. However, there are a couple downsides to fleece blankets. • First, fleece blankets often cause you to overheat. • Second, fleece blankets aren’t durable. Fleece blankets cause you to overheat because they are made out of a blend of synthetic fabrics, such as polyester. These synthetic fabrics aren’t breathable and often trap sweat, creating humidity. This humidity makes it even hotter, causing you to overheat eventually. Additionally, fleece blankets are less durable than bamboo blankets. For example, bamboo blankets look brand-new for years. Fleece blankets, on the other hand, look old and faded after just a few washes. Once a few years go by, you will even find small holes and tears in fleece blankets that you would never find in bamboo blankets.